Ada pertanyaan untuk Gabbys Bed and Breakfast? 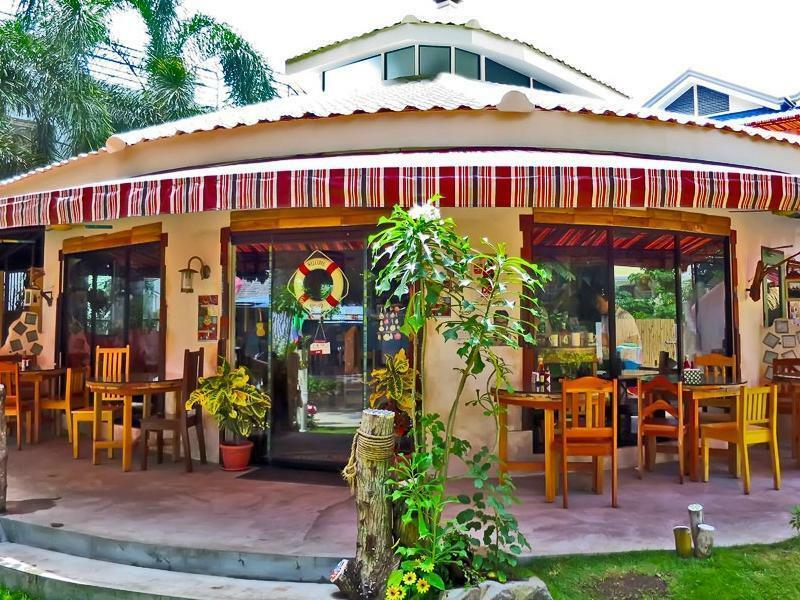 Dirancang untuk wisata bisnis dan plesiran, Gabbys Bed and Breakfast terletak strategis di Dumaguete City, salah satu daerah lokal paling terkenal. Dari sini, para tamu dapat menikmati akses mudah ke semua hal yang dapat ditemukan di sebuah kota yang aktif ini. Dengan lokasinya yang strategis, hotel ini menawarkan akses mudah ke destinasi yang wajib dikunjungi di kota ini. Gunakan kesempatan untuk menikmati pelayanan dan fasilitas yang tidak tertandingi di hotel Dumaguete ini. Ada beberapa fasilitas hotel ini seperti WiFi gratis di semua kamar, resepsionis 24 jam, check-in/check-out cepat, penyimpanan barang, Wi-fi di tempat umum. Gabbys Bed and Breakfast memiliki 16 kamar tidur yang semuanya dirancang dengan citarasa tinggi. Banyak diantaranya memberikan kenyamanan seperti akses internet - WiFi, akses internet WiFi (gratis), kamar bebas asap rokok, AC, meja tulis. Sepanjang hari Anda dapat menikmati suasana menenangkan dari pijat, taman. Ketika Anda mencari penginapan yang nyaman di Dumaguete, jadikanlah Gabbys Bed and Breakfast rumah Anda ketika Anda berlibur. The hotel is somewhere inside a subdivision. The cafe offers delicious meals. There is a place similar to a living room of a house and it has a perfect ambiance to read, to relax, to sip coffee, to eat, to chitchat with a friend either personal or over the internet. It is indeed a great value for money taking into consideration that they give us free set breakfast. I was told Gabby’s is one of the best places in Dumaguete to eat and I wasn’t disappointed. Generous portions, excellent staff, affordable prices, and an ecclectic vibe explain why it can often be hard to find a seat indoors. Attached is a bed and breakfast that offers cozy rooms in a setting that looks like someone’s ornate parlor. The location is equidistant from both the airport and downtown on a nice tree lined street of Mahogany. I'd be happy to stay here again! Worth the price. 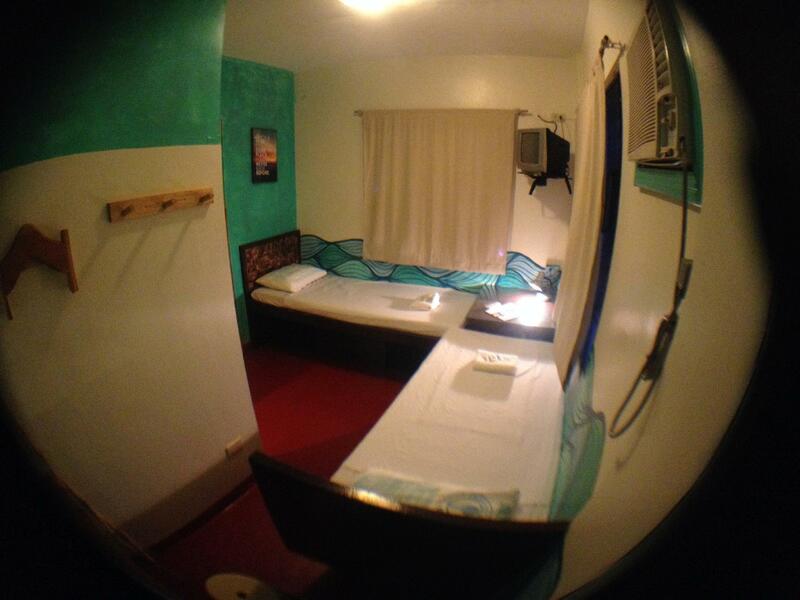 I'd be happy to stay here again on my next visit to Dumaguete. Also a great food at reasonable rates. And will definitely stay here again. :) Cheers! Affordable place to stay for a night. Have breakfast but dont expect too much because the choice is just toasted bread with jam or budbud(sticky rice) with hot choco. 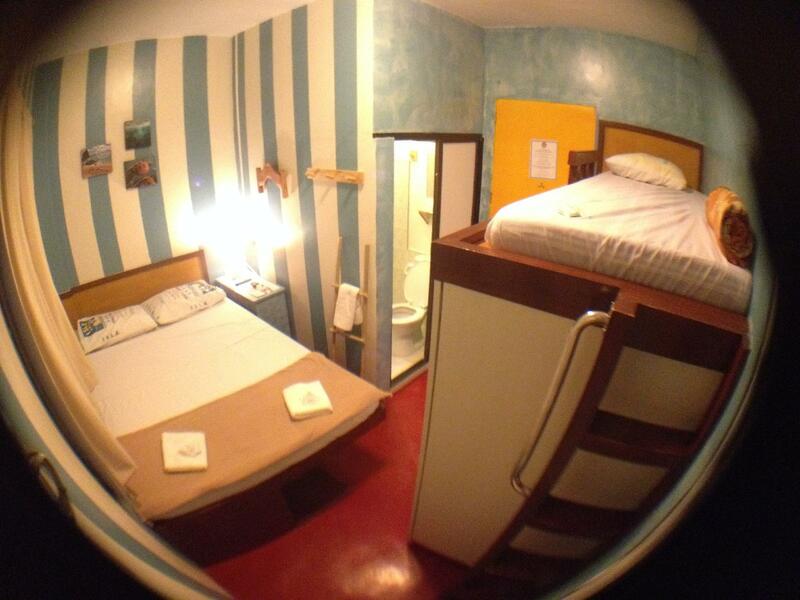 Room was not pleadant at all. Aircon doesn't seem to be working at all. Had to ask their frontdesk for a stand fan, but he said they don't have one. Water pressire inside the bathroom is too weak. Sobrang tipid. Like I can't even brush my teeth properly because ang konti ng patak ng faucet. Location isn't the best either. I paid for 2 nights but I decided to check in to another hotel. I definitely won't stay here next time. we stayed there for two nights, the room were nice, nothing fancy, a small aircon and TV the bathroom was a good size , soap and shampoos were also included, wifi was also good, the breakfast included was a few pieces of toast with jam and butter or budbud with chokolate, if you wanted a heartier breakfast though you had to order it from their restaurant which was 150(tapsilog) a pretty decent size serving we had to share it. Overall our stay there was pleasant, as i work online the wifi was very important, it had a nice homey feel to it not too fancy, the food is good and affordable and something backpackers and budget travelers would be into i guess. Me and my friend stayed here for one night. The place is very cute! The cafe, the common area are all designed instagrammable. This place is very near Sibulan Airport which is perfect for us since we have a 6AM flight to catch the next morning. 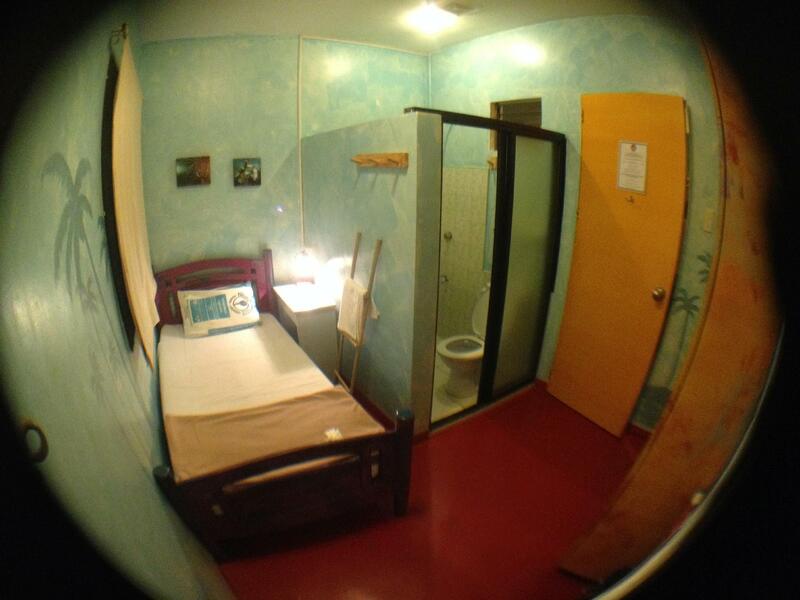 The room was okay, we have 2 single beds and own CR with free soap, shampoos & toothpaste. I think the light is a little bit dark but it's manageable. The TV was placed too high, so it's hard to watch but it's okay because we are often out anyway. It's quite far from the main highway too, like 5-10 mins walk. Aside from that, our stay has been good. Good place to crash after a day in Dumaguete. I did not regret choosing this place! 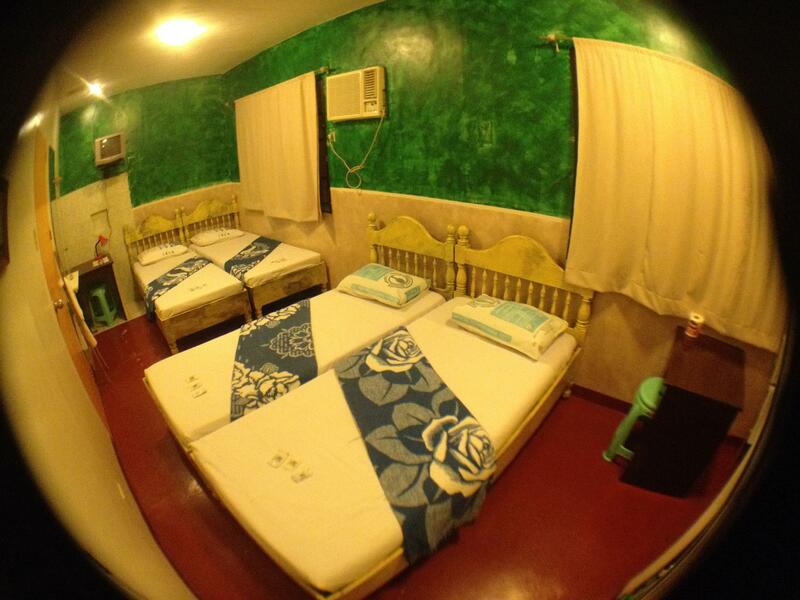 This place is a haven for backpackers and travelers who wanted a relaxing ambiance and good food. My stay here is just for one night but I enjoyed everything. I love the concept of this BnB and how accommodating and friendly the staff are. My room is small but very cozy. Wifi is not strong but who needs it when you want to enjoy the place and the food. It is very near from the airport, too and if you are the type of person who loves to walk, you can just walk from the Nat'l Hway to the Gabby's. From the airport, walk across the street, ride a multicab and tell the driver to drop you off at "Claytown in Daro" it is a street besides Shell Station.The fare is just Php 8.00. Super cheap! I really enjoyed my stay at Gabby's BnB. the staff were very friendly, helpful and professional. My room was tiny but comfortable w aircon and lots of cabinet space for my luggage. Wifi was very reliable and available throughout the property. Maybe the best thing about Gabby's is the food! Excellent breakfast fare served all day....western and filipino. And always busy...serving guests and locals, who make the trek to Claytown Daru proving its popularity in Dumaguete. As much as I enjoyed my stay, some room for improvement that I'm hoping will be considered. First, the brew coffee is rather bad and too expensive (50p for a small cup with powdered creamer). At that price/small size, at least buy better beans and offer real cream/milk. Better yet, switch to small French press for 70p like others in town offer. Better coffee is sorely needed there! Also, the shower head in my room was clogged and made for a most unpleasant shower. Replace shower heads, and w ones offering a better flow. Finally, add some more non breakfast items to the menu perhaps. Why not? !